The element of fire has long had a special role in Spellcasting. Since the dawn of humanity, fire has played a very special role. Fire granted us warmth, security, light, and was a genuine factor in our success as a species. It lit our way and allowed us to thrive. This was the natural phenomenon that allowed us as humans to progress to the next level. This special role that fire played in our success and development has given it a very special place in our hearts. It is a genuinely amazing natural process, and it is no surprise that fire has a unique place in our rituals and ceremonies. However, we also know it is a dangerous power and must be respected. Since ancient times, mankind has ensured fire has had a central role in the religious rites and spiritual observances we have as a species. The candles that we see lit in the local church carry a spark of Magick from the dark ages before history began. 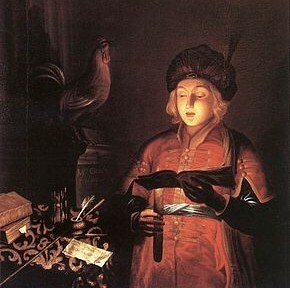 The Christian candle is just one way in which fire was brought to the centre of spiritual life. There are countless examples, from the daily lighting of incense in Hindu rites, to the mandatory presence of fire in the Zoroastrian religion. Fire breathes energy into proceedings. While the presence of other elemental substances like water and earth can be necessary for some Spells, the element of fire tends to be one of the most common and frequently utilized. It is for this reason that small, compact candles that possess the correct properties can be often very useful for small but effective ceremonies. This is particularly the case for DIY Spellcasters who wish to cast out their own Spells, but who do not have the time, funds or expertise to perform large-scale rituals. 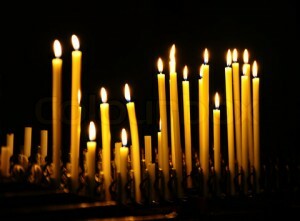 Almost any sort of candle can be utilized in small Spell ceremonies, but there are aspects that differentiate candles. One is not as good as the next one. Candles have properties that can make or break a particular rite. The incorrect use of candles can at best result in an impotent Spell, and at worse can result in a danger to life and property. Fire must always be respected. While it is true that the actual presence of fire in a candle represents the most important aspect, the ingredients and nature of the candle can have a substantial effect on the ceremony itself. For this reason, I recommend using candles that resonate with the Spell that is being Cast. This itself results in a far better aesthetic and form, and can please the spirits that are involved in such a Casting. 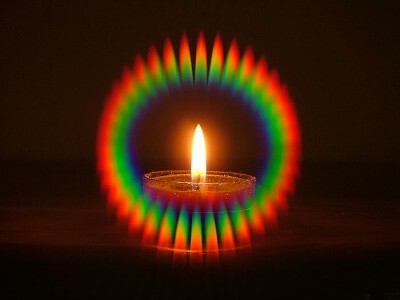 Candle Spells themselves involve projecting energies in a certain direction, and for that reason, everything from the shading to the mineral content of the candle can play a part. These sort of rituals can be as complex and refined or as simple as the Caster requires. On a more basic level, the shading and distinct color of a candle can aid and empower a ritual. We live in a world that is color-coded, and paying attention to the resonance of a certain shade can have a substantial effect. For example, it is well-known that the color red has been associated with the body and with passion. 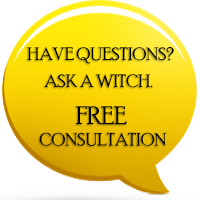 Many practitioners would choose this as a colour for Love Spells. What can make the vital difference is using a candle that has been enriched with Magick itself before the ritual. This can have the effect of doubling the power of the unleashed Spell. Careful preparation and positioning of candles will help make a ceremony run more smoothly. Making sure that the lit flames are arranged in a position of power will reap dividends, as this will ensure that the energy unleashed will flow in a more measured and effective way. At all times, attention must be paid to the danger that the element of fire presents in the home, and ensuring safety in this respect is paramount. There is no use in uttering the perfect incantation or choosing a suitable candle if a fire is accidently started! Larger sources of fire such as bonfires and flaming torches are only suitable for outdoors use. For safety reasons, the small amount of fire generated by candles make them ideal for the simpler, faster and more personal indoor Spells. We plan to expand upon the details of Candle Spells soon. They hold a very special place at the heart of the Magickal ritual. We hope to cast further light upon their benefits very soon. Do you have a favorite type of candle for rituals? Have you found solace in the glow of these small sources of light? Feel free to share your recommendations and thoughts on our Facebook Page, as we delve deeper into this highly practical topic. Hello Kormac, thank you for this article it was very Enlightening (pardon the pun) Hope you are doing well for the spirit of the music!